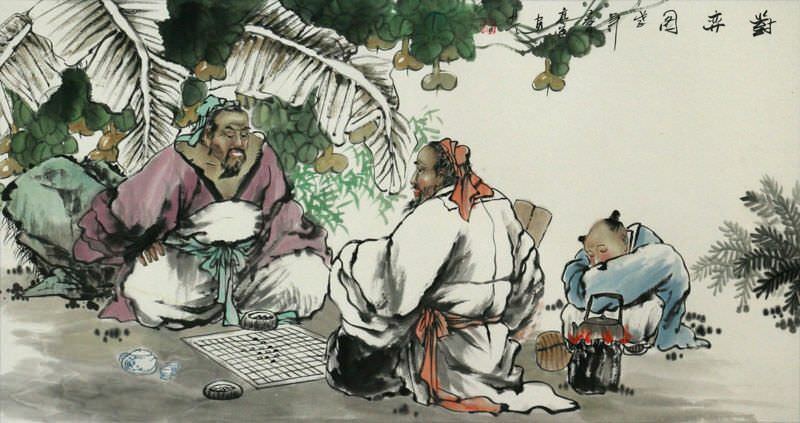 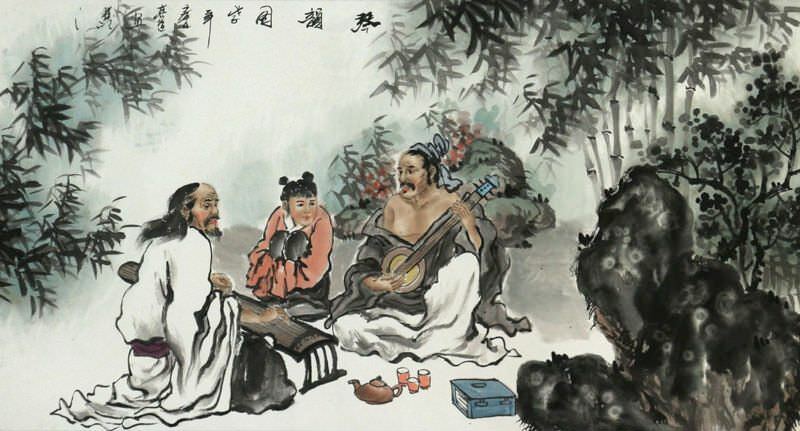 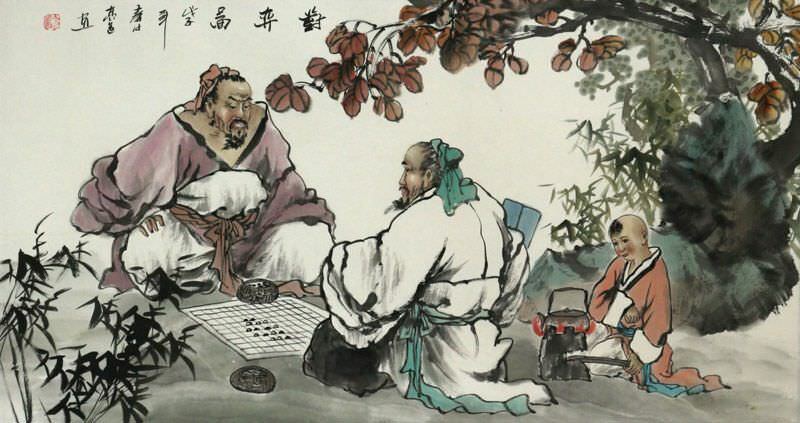 Artwork Panel: 53cm x 97.5cm ≈ 20¾" x 38¼"
Silk/Brocade: 62.3cm x 154cm ≈ 24½" x 60½"
Width at Wooden Knobs: 71.3cm ≈ 28"
This depicts men playing Chess (actually they are playing Weiqi, an ancient game of strategy). 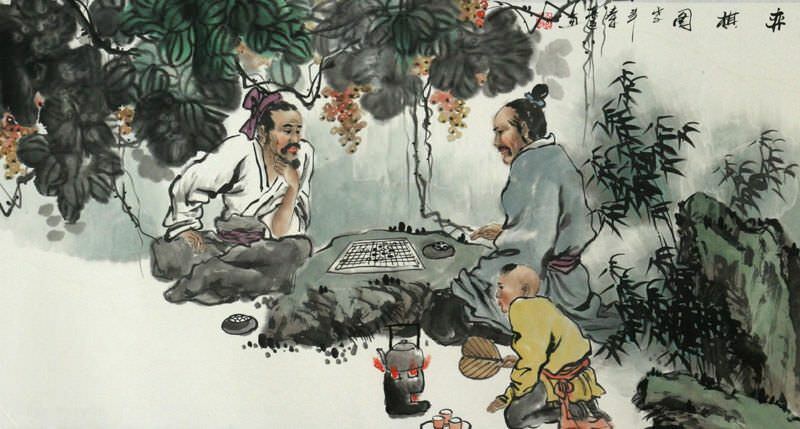 The title of this roughly translates as "Face-to-face Chess Picture". 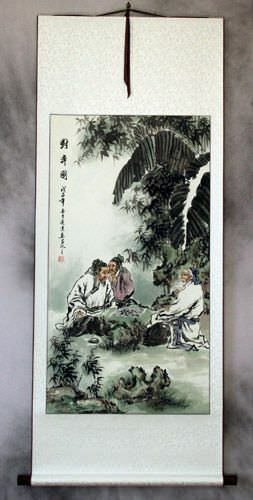 After the title, the rest of the Chinese characters indicate the year painted (2008) and the artist's signature. 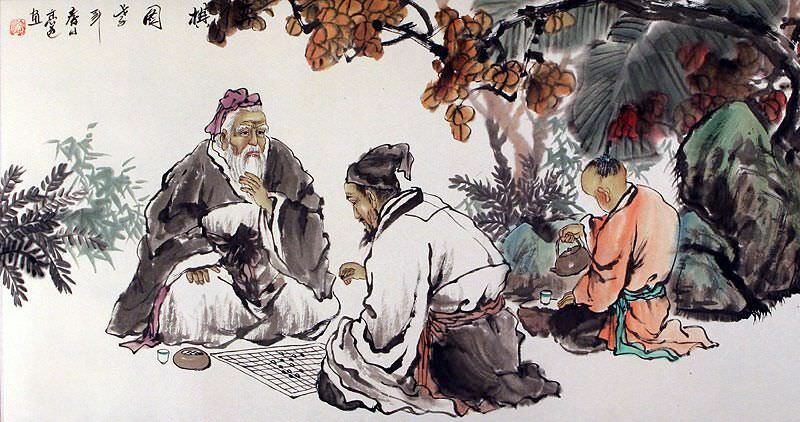 The artist's name is (Liang Dao) who lives in a village outside Guilin city in the Guangxi Province of Southern China. 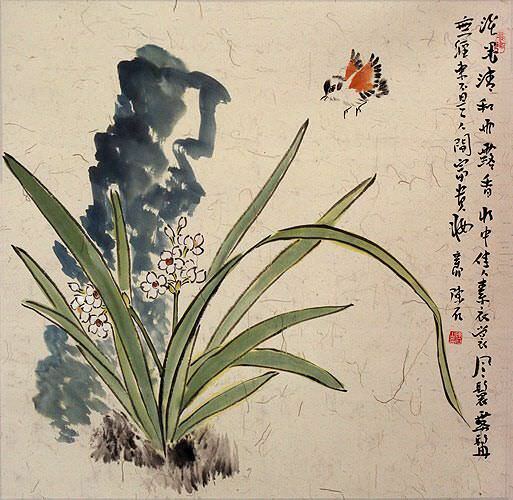 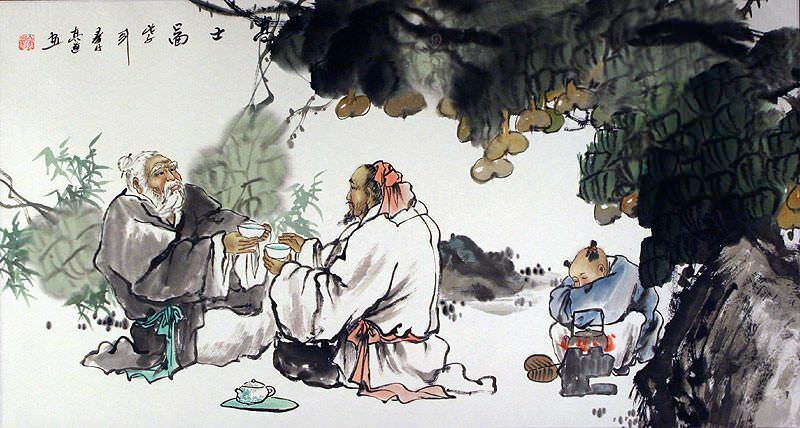 He specializes in artwork featuring traditional scenes of ancient life in China.